Why reserve a page to a computer? 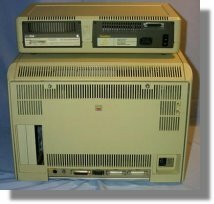 In the personal computer's history, many computers have appeared, someone getting success other no. But sometime the success of a model is gived by a inspired marketing's action, instead of the technical characteristics of the computer itslef. 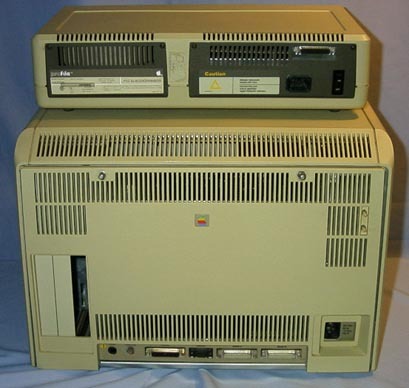 Apple Lisa is all these things. 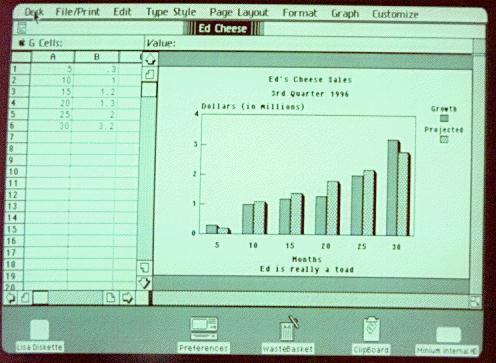 Lisa rise from a Steve Job's idea, after he saw the new interface developed by Xerox PARC. No more a frustrating interface with a blinking cursor on a black screen, but a more intuitive interface for the user. Now actions and programs are showed with icons that are easier to understand for the user, who can navigate using a new instruments called mouse. The pioneer's time is over, now the user want use the computer as soon as possible, perhaps without reading any manuals. 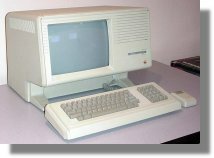 The project starts in 1979, Apple is trying to understand what to do after the big success of the Apple II. Officially LISA stand for Local Integrated Software Architecture, but is easier to think that this was the name of the daughter of a projector. 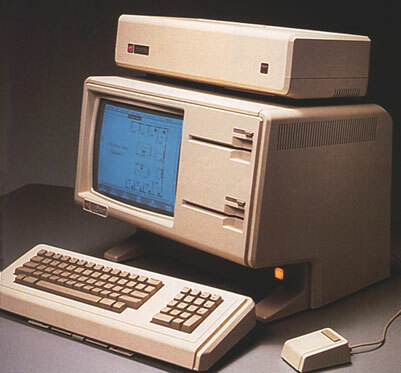 The Lisa arrives on the market in 1983 with the following characteristics: a graphical user interface, a mouse and an advanced operating system. 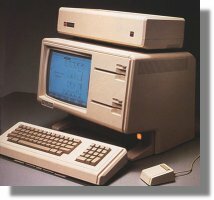 But, why the Lisa was an Apple's flop? The problem is to research in these two situations, the first was the price. Lisa was sold at 9,995$, too much to get new customers. 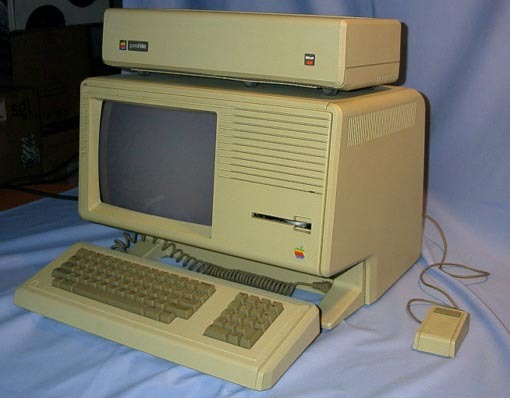 The second was the Macintosh, that came out to soon and pull out of the market his big sister the Lisa. 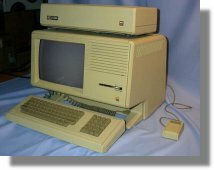 While the Lisa was faster and more powerful of the first Macintosh, the sales were not so good. 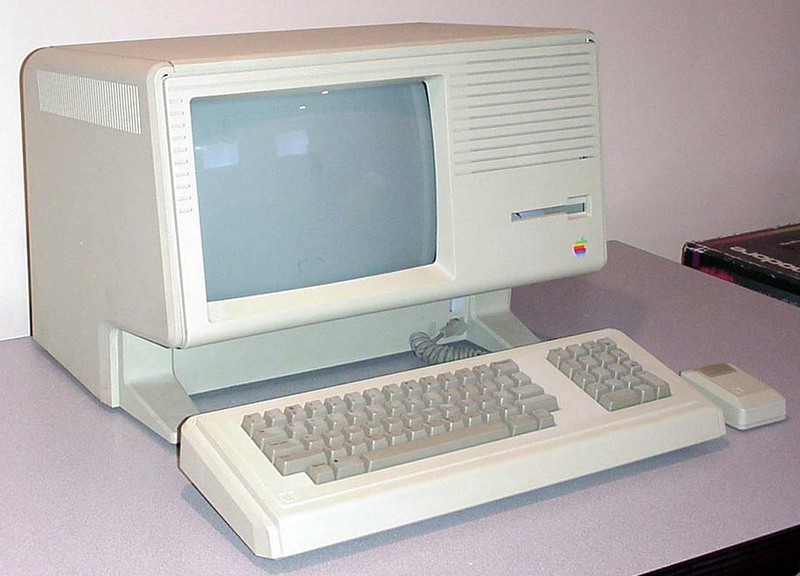 Apple tried also to bring the Lisa on the Macintosh road, with the name Macintosh XL, but also this was unsuccessful. 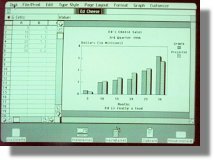 for many people the Macintosh was the first computer with a graphical interface, but this is not the true. Lisa starts with a double 5.25" floppies disk, strange floppy as you can see in the picture on the right. 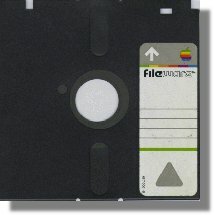 Apple soon will offer a free transition to the more efficient 3.5" floppies. 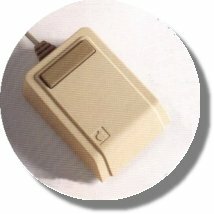 Lisa is built around the Motorola 68000, with a megabyte of RAM expandible to two. Remeber that in 1983 the standard amount of RAM is around 64Kb. The cost was about 4$ per KB, this can partially justifies the price. Another particularity of Lisa was the presence of a serial number on the mother board that can be used to identify each Lisa on a net or to protect software. In spite the low success of Lisa, these computer is a milestone in the personal computer's history, perhaps not for the hardware design, but surely for his software. The italian brochure of Lisa. A screen shot of LisaGraph.